The official Android 7.0 Nougat for the Samsung Galaxy S7 and S7 Edge has arrived even before the official launch date – which is January 17, 2017. 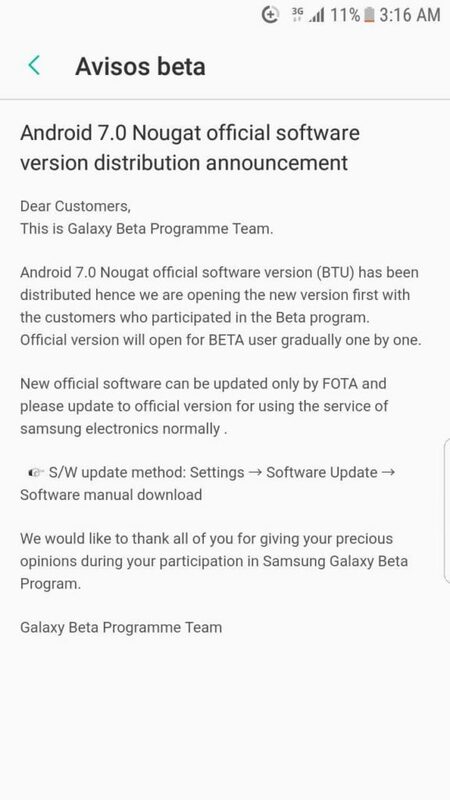 Although technically it is correct, today the Nougat OTA is rolling out only for the Samsung Nougat Beta testers and not for the users running Marshmallow. 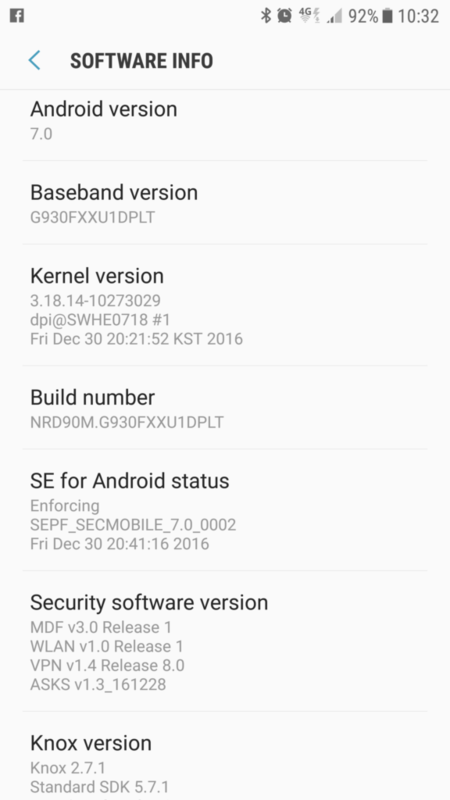 We have already posted earlier about the Nougat Beta for the Galaxy S7 and S7 Edge along with the Odin files. However, the official stable Android 7.0 Nougat is now available for the two flagship devices with firmware build number G930FXXU1DPLT (for S7 SM-G930F) and G935FXXU1DPLT (for S7 Edge SM-G935F). Update: The Odin full firmware files are now available for United Kingdom, Czech Republic, and Netherlands. Download the G930FXXU1DPLT full Odin firmware files from download section. Samsung today made an announcement for the official Android 7.0 Nougat distribution. The update comes over-the-air and weighs around 450 MB. The OTA update is available all across the globe and can be downloaded only by the Beta testers for now. 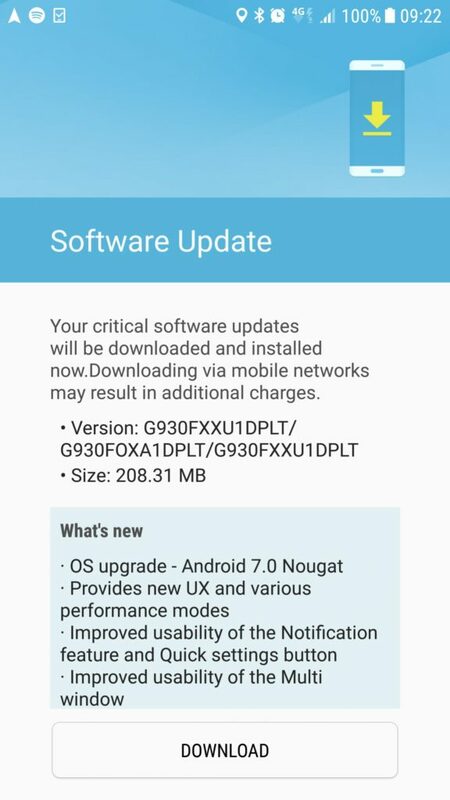 The Android 7.0 Nougat PLN firmware update is only available for the S7 devices running Nougat Beta. For devices on the official Android 6.0.1 Marshmallow firmware need to wait for the full stock firmware files or the OTA update till January 17, 2017. Note: The following TWRP backup and the adb dump are only for testing proposes. The files may not exactly function. You must backup before taking any actions. Check out source. The Odin flashable full firmware file is not available just yet. You can checkout the tool to download Samsung firmware files directly from the official Samsung servers and without any speed or subscription. Download latest Samsung firmware now. Like, share and comment down below.